Is a Shell Scheme the Right Exhibition Stand for Me? One of the most effective exhibition stand options is without a doubt the shell scheme. This stand typically has two to three walls made from individual panels, which can be branded according to your requirements. The stand has enough space for furniture, while still ensuring that expo visitors have enough room to view your featured products. That does not mean that all shell schemes are created equally, of course. Generally speaking, this type of stand has maximum impact when it is designed to capture attention right from the very start. Is this type of stand the right choice for your exhibition? And if so, what does it offer in the way of benefits to you and your business? 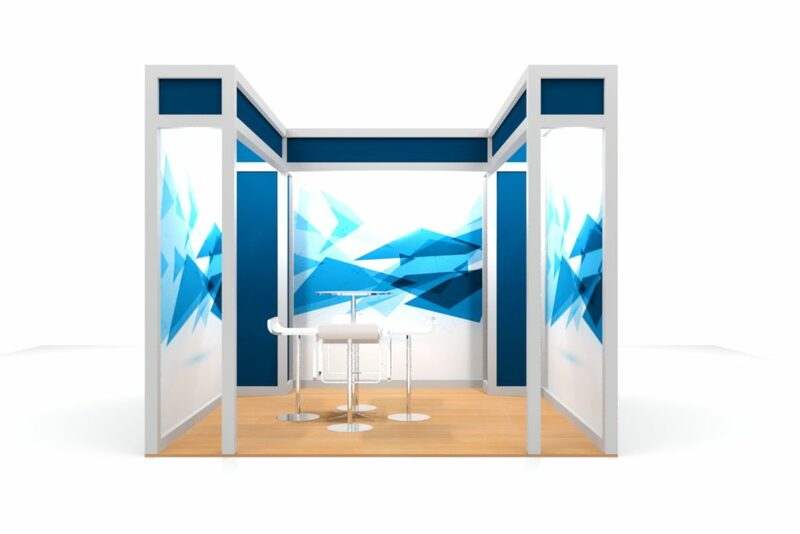 Why Consider a Shell Scheme for your Exhibition Stand? Fully integrated stand. Here at Compex, we offer a full service approach to this type of stand that considers the structure as well as the furniture, graphics, lighting, flooring, storage and even the audio visual placement. This means that you will be able to save time and effort in preparing for your event, without the added hassle of trying to organise endless details. Instead, you will be free to focus on what you do best, with the peace of mind that comes from knowing that you are making the right impression. Simple, affordable and portable. This stand is an affordable solution that is also easy to set up and transport, with panels that can easily be assembled and disassembled. Panels are available in fabric or vinyl finishes, depending on your preferences. Both of these options provides a durable choice that will last. You can also decide whether you want your stand to have a casement ceiling, lattice ceiling or no ceiling. Once your event ends, your stand can easily be taken down, to be used again as needed. Visual branding and recognition. Visuals play a vital role in branding as well as recognition. At an often busy trade show or exhibition, you need to know that your stand shines for all the right reasons. We can assist with graphics for your stand that are ideally positioned to your branding goals. Panels can be designed and printed in a huge variety of ways. Whether you opt for photo-realistic images, logos or a unique design that is relevant to your audience, product or event, you can be sure that a beautifully designed shell scheme always stands out from the crowd. To find out more about investing in a shell scheme package for your upcoming event, simply contact the Compex team today. Once you are ready to get started, we will work with you to determine the best design. Our printing department can assist with graphic design for your stand, while we can also assist with furniture, audio visuals, lighting and any other event requirements you may have. Contact us today to find out more about our high quality shell scheme packages!